One of my favorite complexes in St. Augustine Beach because of how newly built these are and because of its awesome pool and closeness to the beach. 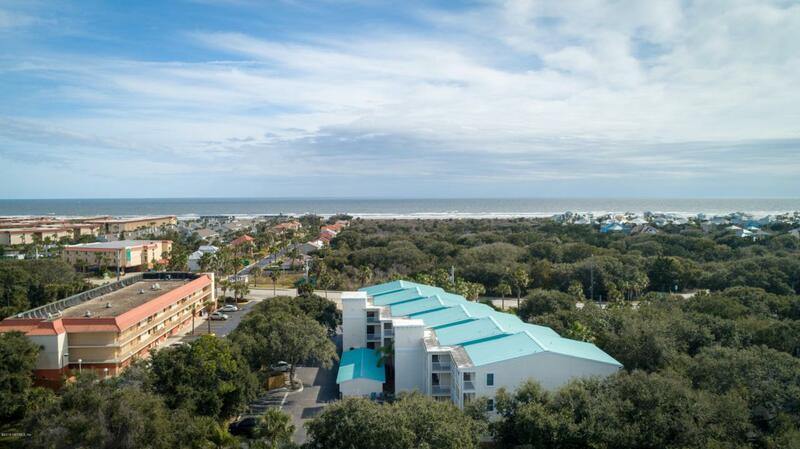 The units also have one of the largest living spaces for beach condos at over 1,500 sq ft!! These are built strong with concrete block! This 2nd Floor unit offers an open floor plan with 3 bedrooms and 2 bathrooms. Master bedroom has great space and master bath has his and her sinks, deep jet tub and separate walk in shower.Kitchen is beautiful with lots of cabinet space and granite counter tops. Kitchen, bathrooms and foyer are all tiled with carpet in the bedrooms and laminate flooring in the living area. Ceiling fans in each room for comfort. My other favorite part is the screened and covered 15 x 8 porch to hang out and enjoy the outside. There is also boardwalk beach walk over directly across the street for beach access! Ocean Reef has an elevator and in the monthly fee it includes Insurance for the building, int. and ext pest control, water/ sewer, pool and property maintenance and management of the complex. It also allows you the option to short term rent if this is a need for you!